The Indian Air Force (IAF) top brass is reviewing the Balakot air strike and the subsequent aerial skirmish with Pakistan at a two-day Commanders' Conference which was inaugurated by Defence Minister Nirmala Sitharaman in New Delhi on April 11. 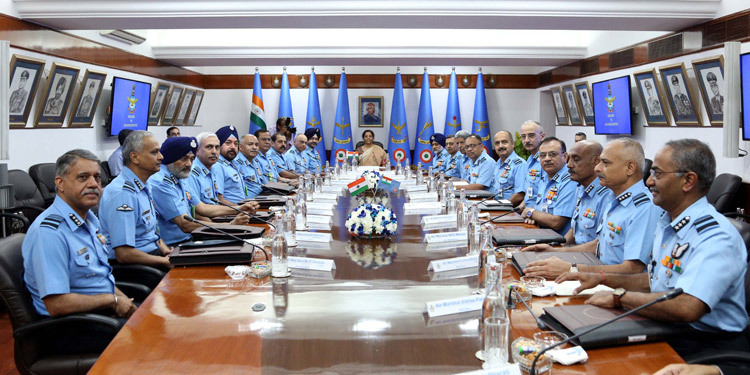 A deep review of the recent air action is at the heart of the brainstorming by top air IAF commanders on enhancing India's air power capability in the short and long term. Chief of Air Staff Air Chief Marshal BS Dhanoa "emphasised on further enhancement of the IAF's capability in the field of Space, Cyber, Information, Artificial Intelligence and Drone technology"
The IAF leadership is using lessons learnt from the aerial confrontation with Pakistan, and the demonstration of the use of air power to make a renewed case for fast track procurement to meet critical requirements in order to maintain a combat edge over adversaries. 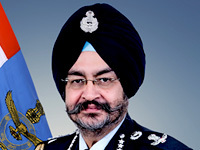 Chief of Air Staff Air Chief Marshal BS Dhanoa "emphasised on further enhancement of the IAF's capability in the field of Space, Cyber, Information, Artificial Intelligence and Drone technology", according to an IAF statement. Air Chief Marshal Dhanoa expressed urgency in inducting the latest air warfare technologies to make IAF a more potent, technology-driven force. While complimenting the IAF for "flawless execution of the Balakot strikes and subsequent thwarting of the Pakistani response", Defence Minister Nirmala Sitharaman called upon the Air Force to prepare itself for the future by scouting for the latest air warfare technologies across the world. 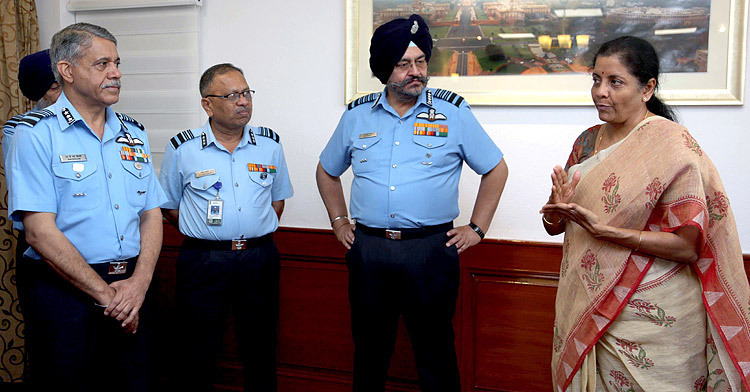 "She said that the IAF has proved its mettle in Exercise Gagan Shakti 2018 and Vayu Shakti 2019 and the same reflected in the successfully conducted Balakot Strike and air action on 27 February," the IAF statement added..
"She expressed great appreciation for the training imparted to all personnel in the IAF as reflected in the actions and conduct of Wing Commander Abhinandan," the statement added, alluding to the shooting down of a Pakistan Air Force F-16 by an Indian MiG-21 pilot and his conduct in Pakistani custody after having been shot down himself over PoK. The Defence Minister gave an assurance to the IAF top brass that India will ensure fulfilment of all the critical requirements projected by the IAF. 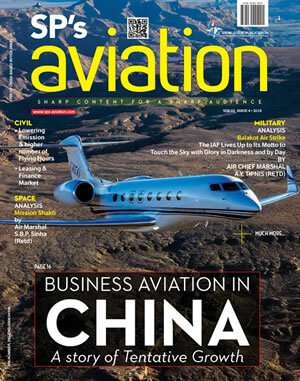 "She asked the IAF to look at the future with the latest technologies available across the world and those that can be developed within India, in order to meet its needs," the IAF statement elaborated. The Minister said that through its acquisitions, the IAF would play a vital role in the development of the defence manufacturing capability under the Strategic Partnership Model. She also urged the Defence Industry to utilise the experience of serving and retired air force personnel.